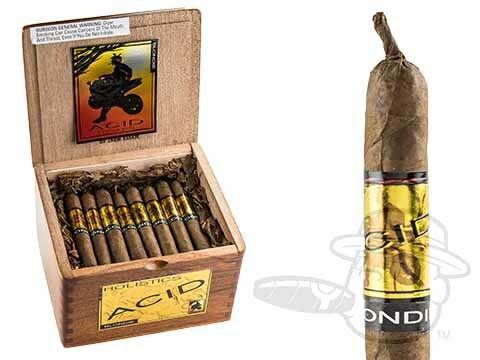 Showcasing a spicy Sumatra wrapper leaf over the brand's signature infused blend of long-leaf tobaccos, the Acid Blondie Gold kicks the profile of this best-selling cigar up a couple of notches. Treat yourself to these one-of-a-kind cigars and be immersed in eye-opening, aromatic, and satisfying taste like none other. Great cigar, one of wife favorite, smooth easy to smoke. Acid Blondie Gold is rated 4.9 out of 5 based on 2 customer ratings.